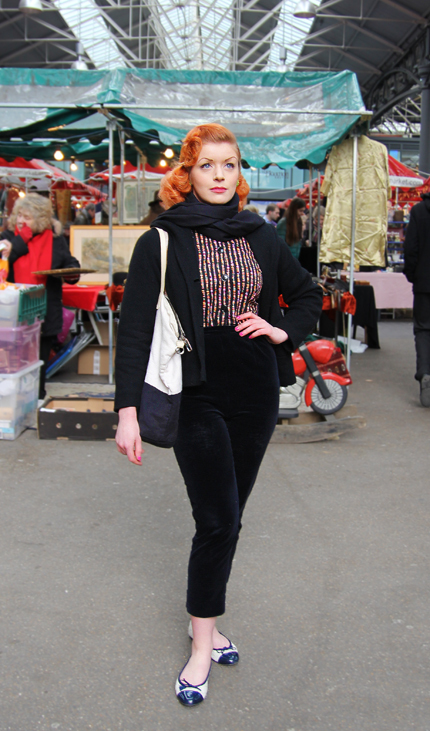 Christie in Spitalfields Market with the style, poise & sculpted carrot colour hair of a 1950’s pin-up. 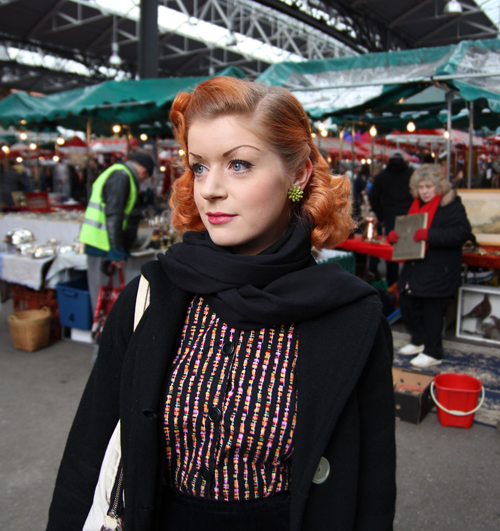 Christie Goule was browsing Old Spitalfields Market with the style, poise and sculpted carrot coloured hair of a 1950’s pin-up. Here the print and textile designer from East London wears a jacket and velvetine trousers from Etsy, blouse from Freddie’s of Pinewood, Office pumps, Zara handbag and hair by Rockalily Cut’s in Dalston.